It’s that time of the year again! That’s right, we’re counting down the days to Hari Raya! For this festive season, several companies have once again unleashed their new Raya ads which most of us look forward to year after year. Some the ads are funny and cute, but usually they are all heartbreakingly sad, nevertheless, all of them contain valuable messages and great moral values to remind everyone on the importance of bonds between family and friends, and also the act of forgiveness. So get your boxes of tissue ready folks, because these Raya ads of 2016 will make you weep! Samsung Malaysia has released a heartwarming Raya ad which reflects the world that we are living in today – the world of technology. The story of the ad is quite simple, it’s about a family in a Whatsapp group who are having a bit of a dispute, but they learn to forgive one another afterwards. The ad shows that even though the way we communicate now is different, as long as the bond and love is still there, family will always be family. 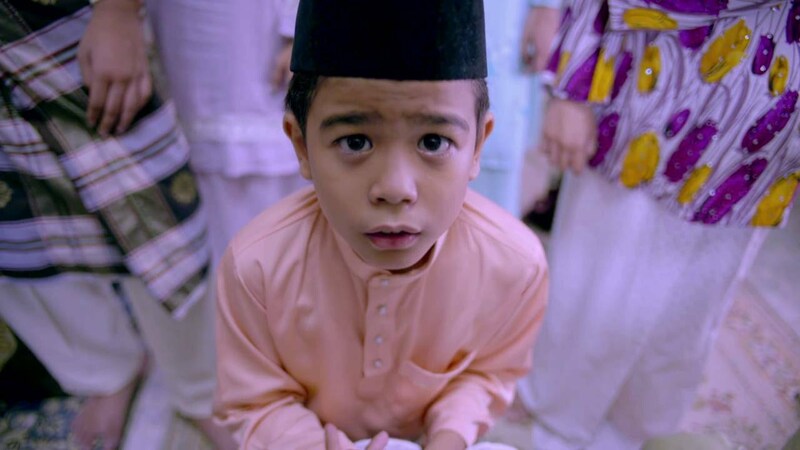 This adorable ad by Tenaga Nasional Berhad shows a young boy apologising to his father during Hari Raya on all the mistakes that he has done. It starts with a small mistake, and as the father is about to respond the boy continues with “Lepas tu…” (and then), and goes on and on about the bigger mistakes that he made. The ad stars comedian Lan Pet Pet from Senario. Telekom Malaysia unveiled yet another touching ad which teaches us not to be wasteful. Sofea is a kind-hearted woman who always packs leftover food from parties and celebrations. Her action makes it seem as though she is greedy, but she actually gives the leftover food to the ones in need. The ad begins with a woman narrating about her preparation during Raya, and how she ends up preparing everything all by herself. Though the outcome of the ad is a bit obvious, it will still make you weep upon seeing the revelation. The ad released by Watsons Malaysia features three socially awkward women who go through amazing transformations after shopping at Watsons. The whole ad was presented in a song, featuring Mawar Rashid, Sari Yanti and Raja Ilya as the three main cast, and various famous personalities like Amber Chia, Arja Lee, Dayah Bakar, Kit Mah, Monika Sta Maria, Nadia Heng, Nadine Ann Thomas, Nomad, Shuk SYJ and Wafa de Korte. Based on a true story, Zika, played by Jihan Muse, turns rebellious after her father stops paying attention to her and focuses too much on his work. She blames her father for everything that goes wrong in the family, but when her father passes away, she realises that she never tried to understand her father circumstances, and regrets it. Maxis’ Raya also reflects on today’s generation who are too addicted to smartphones, and this causes them to forget what really matters the most. Though technology has made it more convenient for us to stay connected with each other, but overtime, we have lost sight of what’s really important. 8. Jakel – Macam mana nak Raya? Featuring Nabil Ahmad, Aaron Aziz and Jep Sepahtu, the whole ad is basically to promote the new Baju Melayu and Jubah collections of the three local celebrities released by Jakel. The message it delivers is still heartwarming though.